Tailwinds today, but also cross winds. Also nice chance to visit with friends Jenny and Erik who rode TDA this year from Nairobi to Cape Town. Erik also rode all of TDA in 2011. It was already windy when I got out on the road at sunrise. The winds were diagonally from the rear and frequently gusty. This meant they helped me along, but also had to be careful about gusts blowing sideways. 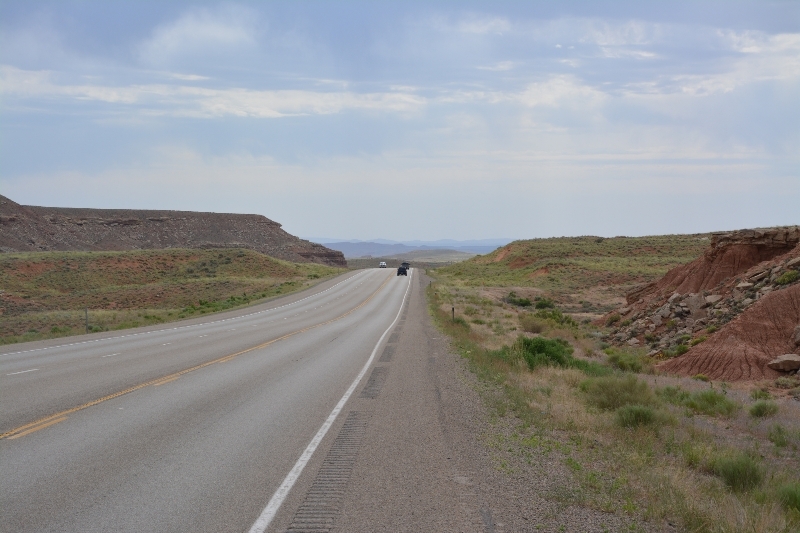 It was a little more challenging because there was a rumble strip in middle of the shoulder – so couldn’t always ride to right of the rumble strip with gusts and with debris. However, generally worked and even went through one area of construction. 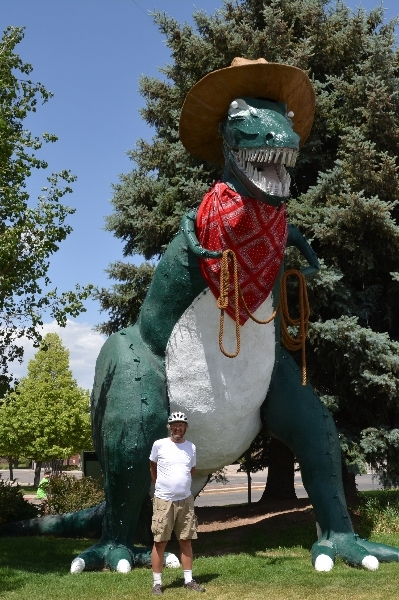 At 18 miles was Myton and a truck stop. It was surprisingly busy and I counted 18 people waiting in line with two cashiers with both cashiers working pretty hard. 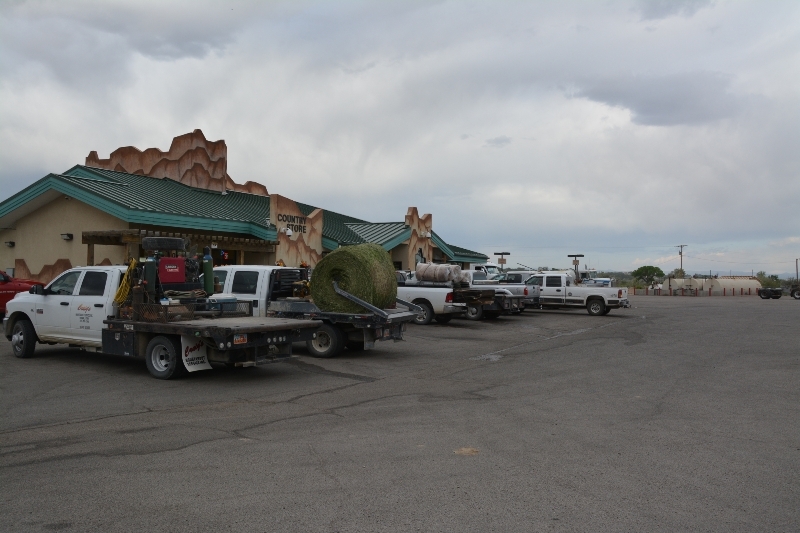 I was told this was last truck stop before oil fields further west. Outside you could see above that all vehicles were trucks and inside all folks in line were men. After Myton the road turned and the wind also seemed to get better. This brought me up and through Roosevelt at mile 28. This town was surprisingly spread out going for what seemed like five miles for such a small town. After this went along a Ute Indian reservation near Fort Duchesne and then the farming areas lessened and became scrub brush again. 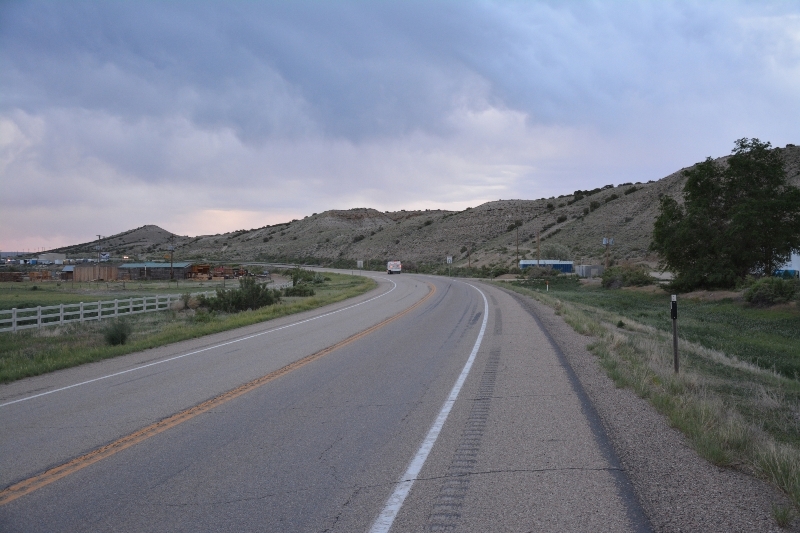 A few hills to go along and then a gradual six mile climb into Vernal. A good descent and then found a motel to clean up before going over to meet Jenny and Erik at Jenny’s place in Vernal. Much appreciated good conversation and meal that evening. 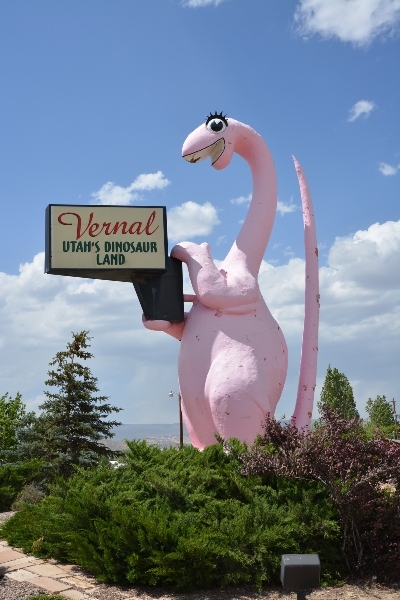 Also briefly went out to find the dinosaurs in Vernal.